Sometimes bigger is better. When you wield this Vibro Hammer from the Dark Moon Collection, it is easy to see why. 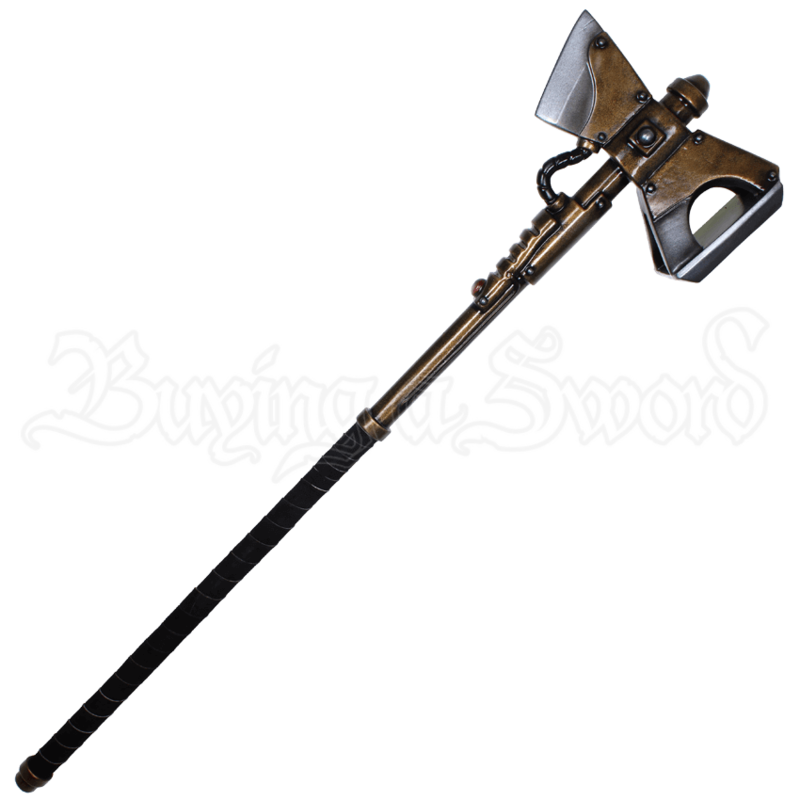 Size makes this hammer a sight to behold, while its technological enhancements will leave your foes intimidated. 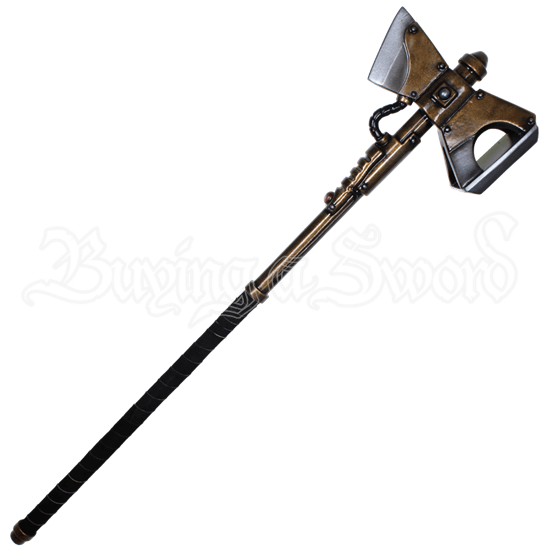 Strikingly steampunk, this weapon echoes the form of the typical medieval war hammer with a few modern enhancements, making it look like a weapon from the distant future. All intimidating style aside, the weapon is safe for use, as it is made entirely from foam latex that is sealed in silicone and supported by a flexible fiberglass core. This LARP Vibro Hammer - Dark Moon Collection is a handmade LARP weapon so its measurements can vary slightly from what is shown below. Latex weapons do need to be maintained to a certain degree. We offer a Maintenance Silicone (MCI-2000) that can be purchased separately in the LARP Accessories section. We recommend you use the Silicone on a regular basis. It has an easy, spray on application. The silicone will keep the coating flexible and make the weapons last much longer. The maintenance silicone protects the coating from drying out and helps the weapon resist wear and tear. This is a handmade LARP weapon so its measurements can vary slightly.